Who is the coolest water toy in the classroom? Which family member knows whether or not it is dangerous to swim with algae in the water? Should you really wait half an hour to bathe after eating, and what do you actually do if you step on a weever? BATHING trouble is a free online game that challenges and teaches you about water safety. The Danish Council for Greater Water Safety has created the app BATHING trouble to focus on water safety in a new and meaningful way. The entire project is funded by the Danish Ministry of Education. Additionally, the app contains a number of bathing tips that are useful to keep track of when you move in and around the water. 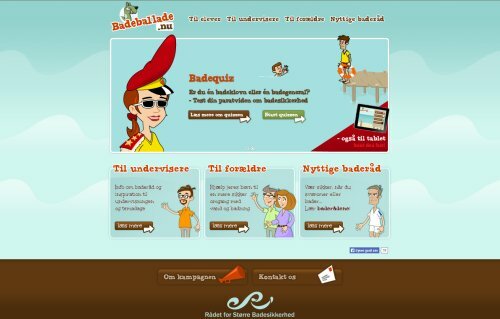 Click here to play – in Danish only.